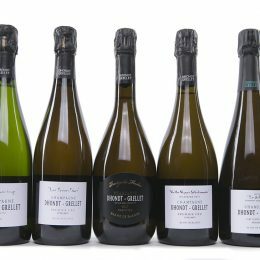 With Pinot Meunier being the next movement in the Grower Champagne arena, there are only a handful of wine makers having such a cult-like status like Jérôme Prévost. Prévost established his La Closerie estate in 1987, when he inherited a parcel of vines from his grandmother, who had previously been renting out her vineyard rather than cultivating it herself. Prévost began to work these vines, selling his grapes to the négoce, but in the 1998 vintage, his friend Anselme Selosse convinced him to start producing his own wine. 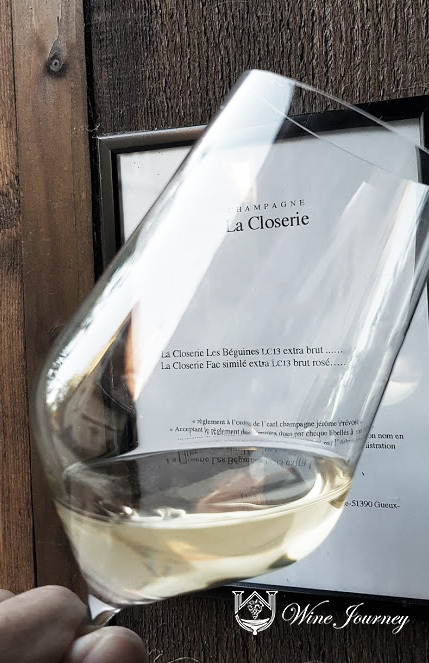 As Prévost had no cellars of his own, Selosse offered to share a corner of his cellars in Avize: Prévost made all of his wines there until the 2002 vintage, which was vinified in his new cellars in Gueux but later bottled in Avize. Since 2003, all of the production has taken place in Gueux. Prévost’s two hectares of 40-year old meunier vines are all located within a single vineyard, Les Béguines, located in the village of Gueux. 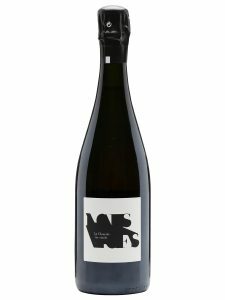 He does have an additional 20 ares in a parcel directly adjacent to Les Béguines, co-planted with meunier, chardonnay, pinot noir and pinot blanc, but as these vines are still young, they are currently blended with the meunier. It’s possible, however, that they may be used to produce a different cuvée in the future. The soils in this area, just west of Reims, are a mix of sand and calcareous elements, due to being a seabed around 45 million years ago, and they’re filled with a number of tiny marine fossils leftover from this period. This creates a highly specific terroir that’s distinctively different from other sub-regions of Champagne, and the chalky bedrock that appears prominently in some other areas of the Montagne de Reims is submerged about 20 meters underneath this sedimentary material. Generally speaking, Prévost makes only one wine, which, ignoring the aforementioned 20 ares of co-plantation, is always from a single variety (meunier), a single vineyard (Les Béguines) and a single vintage. Emphasis is firmly placed on the vineyards rather than the cellar, and the work done according to natural rhythms, without chemical pesticides or herbicides of any sort. “The important thing for me is to harvest ripe grapes,” says Prévost, who doesn’t chaptalize his wines. He adds, however, that he sees ripeness as “less about sugar richness than physiological maturity,” and that the average alcohol level is about 10.5 degrees at harvest. The winemaking is as natural as the vinegrowing: the wines are fermented and aged in 450- to 600-liter barrels, fermentation is always with indigenous yeasts, and the wines are bottled late, usually around July, with a minimum amount of sulfur and without fining, filtering or cold-stabilization. The bottles are all disgorged at once, and spend a total of three years sur lattes before release. In addition to this wine, however, Prévost has allowed himself to experiment a little bit. 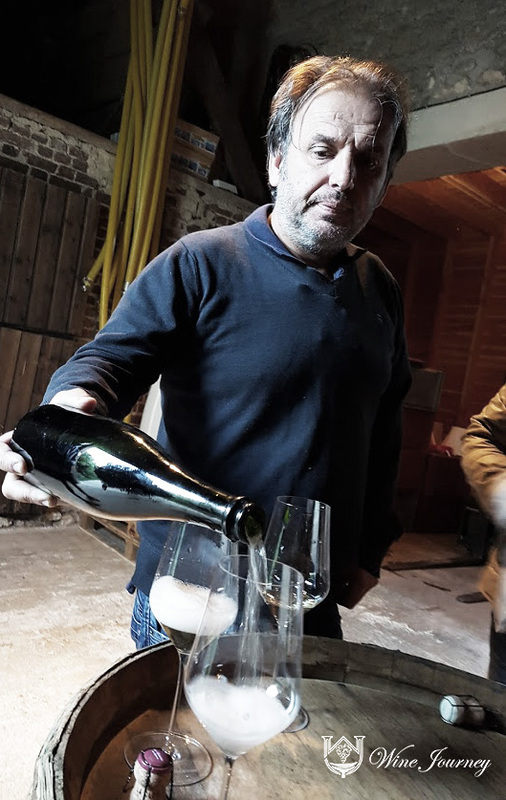 In the 2000 vintage, he produced a second champagne called “Une fois pour tout”: essentially, this was the same wine as the standard Les Béguines except that it was aged in barrel for an additional year before bottling. 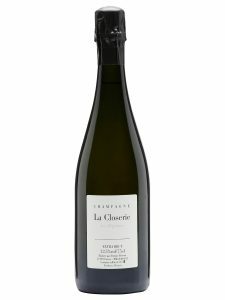 The intention was not at all to create a super-cuvée or a wine that was “better” than his existing one, and this was clearly reflected in the fact that he sold Une fois pour tout for just one euro more than the regular bottling. Prévost himself is still slightly amused when a customer proclaims one of these wines to be markedly better than the other, and notes that their difference is not necessarily one of quality, only character. 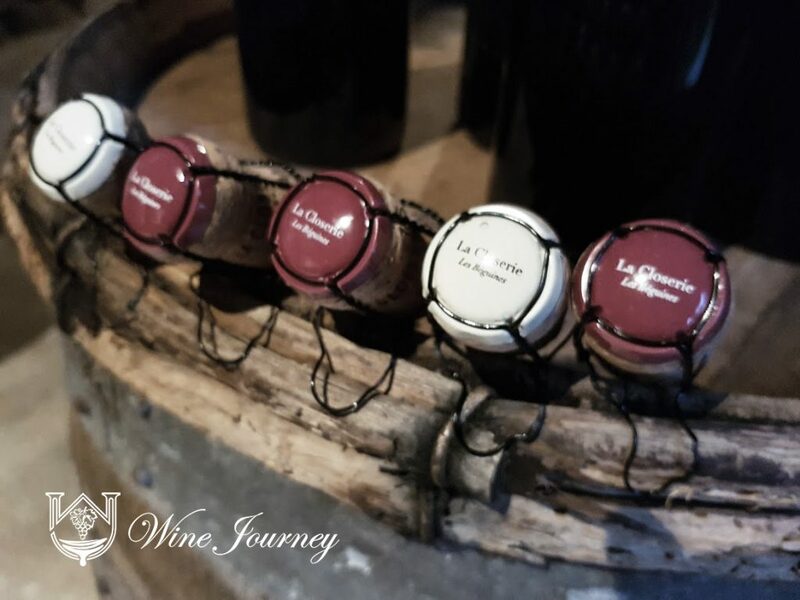 He repeated this experiment in 2003 with a wine called “d’Ailleurs”, and like Une fois pour tout, it was made from a random selection of barrels and bottled one year later than the standard Les Béguines, in July of 2005. The next edition of this extended élevage champagne will be from the 2012 vintage. A LC13 Prevost Rose showing excellent colour and effervescence. Perhaps even more significantly, Prévost produced a rosé champagne for the first time in the 2007 vintage. This was made with red wine from a small section of Les Béguines that is affected with court-noué, which stunts the flowering and concentrates the juice in the small quantity of grapes that remain. 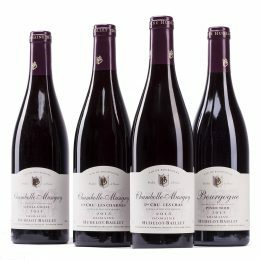 Only 2,800 bottles were made in this inaugural vintage, and the wine was released at the end of 2009. The rosé, called Fac-simile, is based on the same wine as the blanc, yet the addition of red wine changes its character dramatically, making for a fascinating comparison. The Pinot Meunier grape is no longer a neglected cousin of the more famed Chardonnay and Pinot Noir! Wine Journey is the exclusive distributor/agent for Jerome Prevost in Singapore and Malaysia. A Jérôme Prévost feast of the selected vintages of La closerie / Rose wines!